Yay! More Gula Co review again! 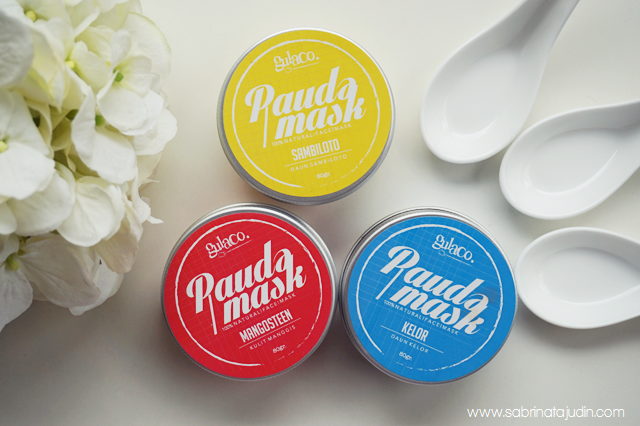 For today, I will be featuring their Pauda Mask. Paudaaaa. In Johor we call it Poda. haha. When I first saw this mask I thought it was Panda Mask. Don't you think so? Or I have some sight problem. Sooo back to the topic. It;s pampering time and this could be a great activity over the night with your friend or simple you love the feeling of mixing stuff like in a science lab or something like me and then have some pampering time of your own. Yes, I love mixing up things this. 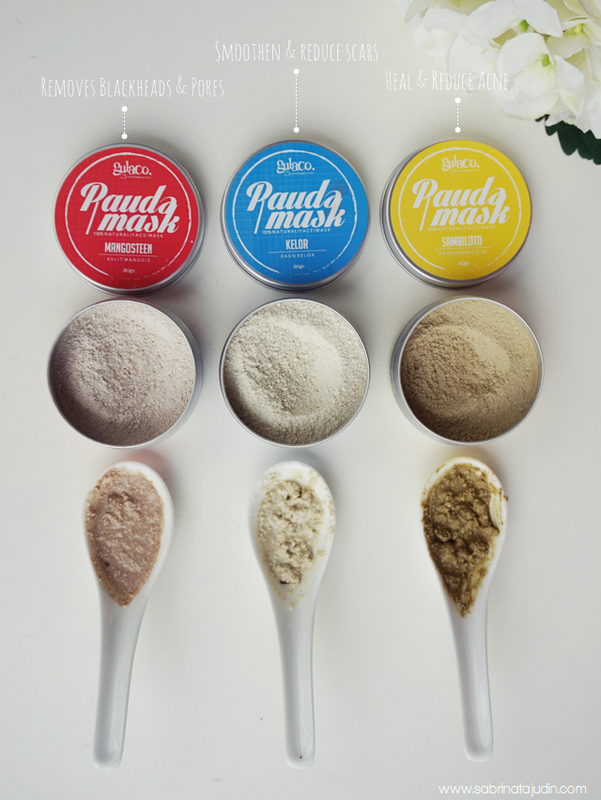 In this range, Gula Co offers 3 different mask and they are as below. This mask helps to reduce blackhead, minimize pore and also restore a youthful elasticity to your skin, with its antioxidant. Has a mild flowery scent and has less flakes than the Kelor. It gives me a bit tight feeling when using this and after washing my face, this gives me a fresh sensation and I can feel that my pores are smaller. This mask is best for all skin types! Among all 3 this one has the most nicest scent. The powder have a bit of some flakes and this would be the best for gentle scrubbing after you have done using it. The texture is like oat meal. You might need to put more water to make it more easier to be apply on your face and reduce fall out when you are trying to put this on your face. This mask promotes for a smooth and soft skin. It helps to deeply cleans your pores and reducing acne marks, dark spots. Best for all skin types also sensitive skin. This mask helps to heal and reduce acne. All that blemishes and infection as well can be heal with this mask. It has an antibacterial properties and I would not recommend this to people who have dry skin as it can be a little bit drying. Best for acne prone and oily skin. How to Use. You kind like to eyeball the ratio basically because that is what I did haha but the instruction said that mix 1 Part of Paude mask + 2 1/2 Part Of Water. Apply on dry and clean face, let it half dry on your face, Wash it off with lukewarm water. If you want a bit of a neater application, you can use your brush or the classic foundation brush to mix and directly apply it on your face. Apply in upwards motion to get the best out of it. Overall & thoughts. A great mask to my opinion! Really does the job as it said. Gives my skin some pampering and all of these 3 mask have a scent where reminds me of going to that wellness & spa center. Smelling it gives me this calm and relaxation sensation. Really calming and mixing it is fun. 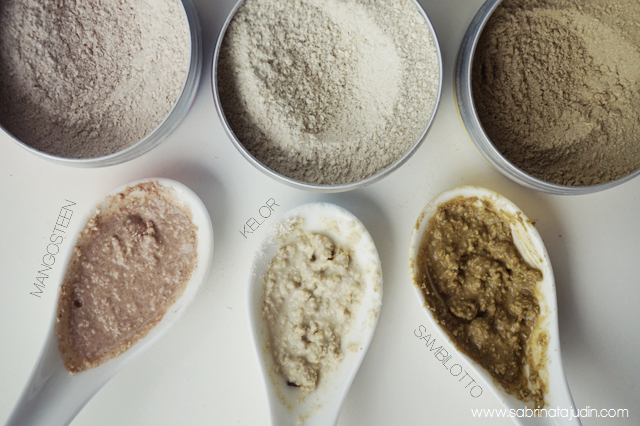 All three mask gives pasty texture when mix with water. 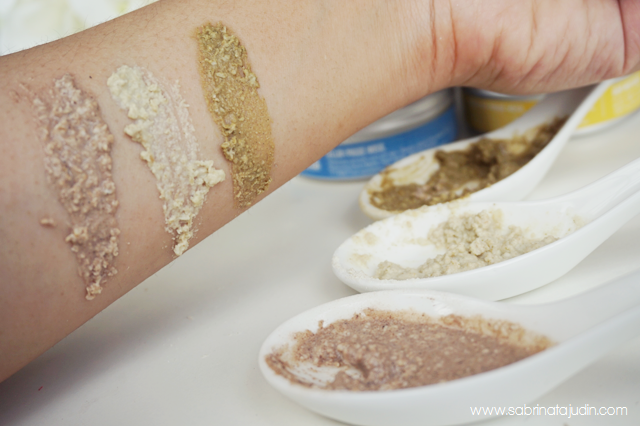 it also has a small bits that also can be act like a gentle exfoliation routine. This mask gives you a whole lot of product too as it is a powder and you get more when you mix it with water. My favorite would be the Mangosteen! The packaging is cute but you need to remind yourself to open it upwards. As I open it, the powder seems to go all over the places. Be sure to be careful ok! As usual Gula Co products are free from parabens, fragrances, additives and alcohol. I look forward to find more time to use all 3 frequently! Love it! omg so comel lah the masks! makes me wanna get them all!